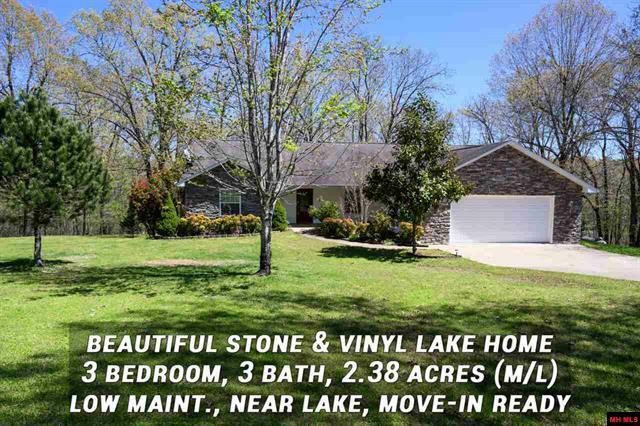 3BR / 3 BA, 3,133 sf stone/vinyl split bedroom ranch, on 2.38 (m/l) wooded acres. Gorgeous hardwood floors, open plan, spacious greatroom, eat-in, island kitchen, large master suite separate tub/shower, den/office,large family room, theater, workshop w/rollup door, largeyard, fire pit, RV port, rain water collection, garden, low maint., built 2002, move-in ready, near public ramp, shopping, restaurants. Genuine cedar log home with 3 levels of “Rustic Luxury” and over 4,000 sq ft of heated living space. Perfectly pictured with a green metal roof and just what you may have been searching for! 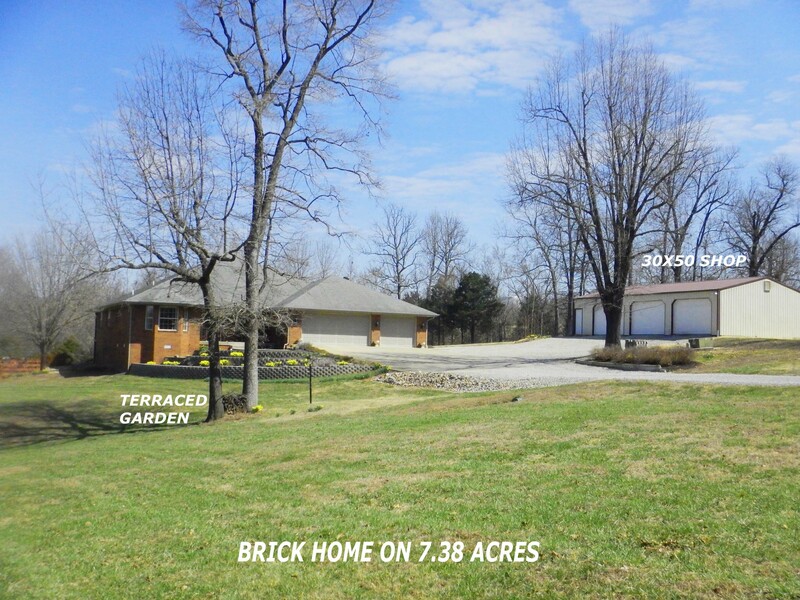 Built on a good paved road, in a wooded setting on 4.42 acres fenced on all sides with swing gate entrance. Beautiful covered wrap deck 3 sides of this impressive home. The main level entry offers a dramatic vaulted ceiling view in the great room. Your eyes travel upwards to an open loft above, cozy wood stove & ceramic floors make it easy to maintain. All open concept to the Country Kitchen, with stainless appliances, and lots and lots of custom wood cabinets, also a work/breakfast island, plus a sizable dining space. Utility room has pantry, washer and dryer hook up & ½ bath. Door opens to an open deck that will be a great place to enjoy the sunshine. The Lower level of this home has a poured concrete foundation and it is finished area with a walk out door to lower area. Also 1 bedroom, full bath. Storage area too. Upper Level has an open loft that is flexable living space to use as you need. Also a bedroom, full bath and large bonus room that could house a pool table, game room, or even just storage. Detached is a 24 x 36 shop w/concrete floor & electric power. attached is a 16 x 36 side shed to cover boats or whatever you need. 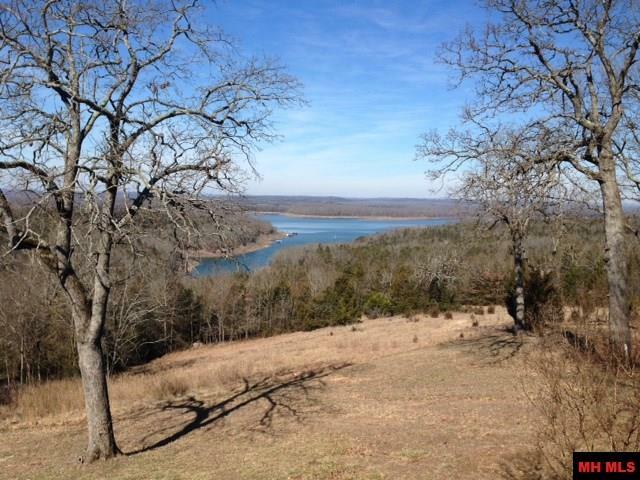 All of this and it is only minutes from beautiful Lake Norfork and one of the best full service marina's on the lake. 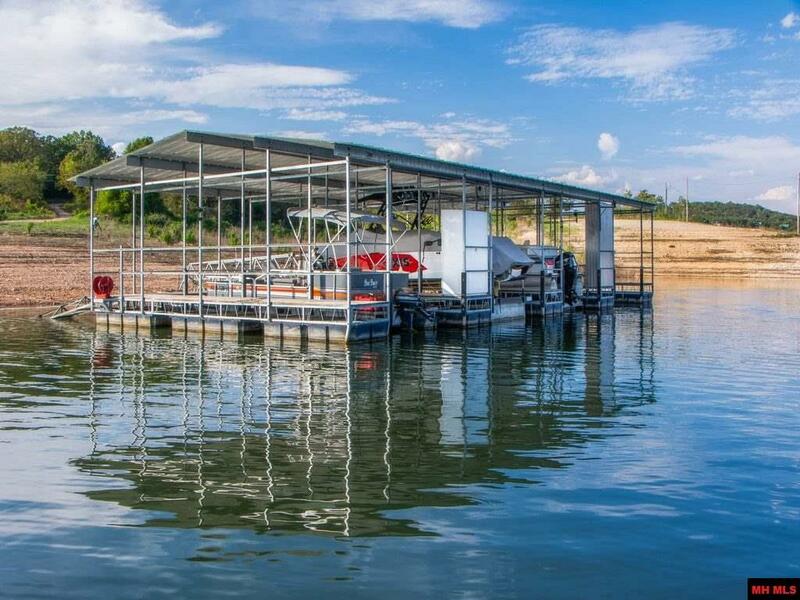 Jordan marina has boating, swim beach and more. Also very near the White River with world class Trout fishing. 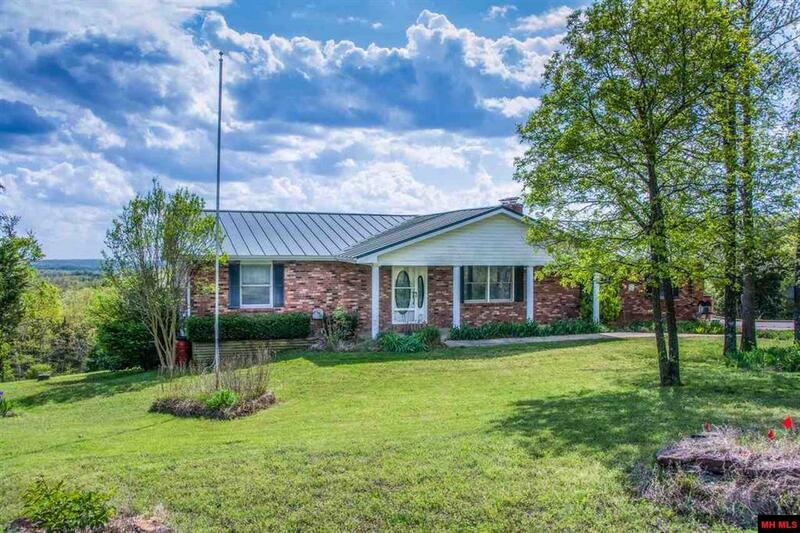 Upscale Country Ranch, 4 bedroom, 3 bath, 2253 Sq. Ft. home on 23.50 Acres m/l. Open floor plan, grand master suite, with dual walk-in closets, Jacuzzi tub & shower. Custom kitchen features maple cabinets, hardwood flooring, stainless steel appliances, and gorgeous tiled backsplash. 1/2 wooded and 1/2 pasture with pond and seasonal creek, fenced for horses with a small barn and tack room. 20x20 detached garage/workshop. On paved road only 14 miles to MH. Close to Crooked Creek access. Genuine Oak Log home,34 wooded AC. m/l on bluff above Piney Creek. Open floor plan, vaulted ceiling,country kitchen oak cabs, updated app. & island. Dining & great roomboast views of 2 sided stone fireplace. Floor to ceiling windows w/distant Mtn.Views. Master bedrm. isen’suite, 3rd bedrm off utility rm great for guests. Updates A/C2015, Roof 2010, laminate floors 2006, whole house generator 2012. Storage shed, wooded privacy, multiple walking paths to bluffs w/stunning views of Creek. 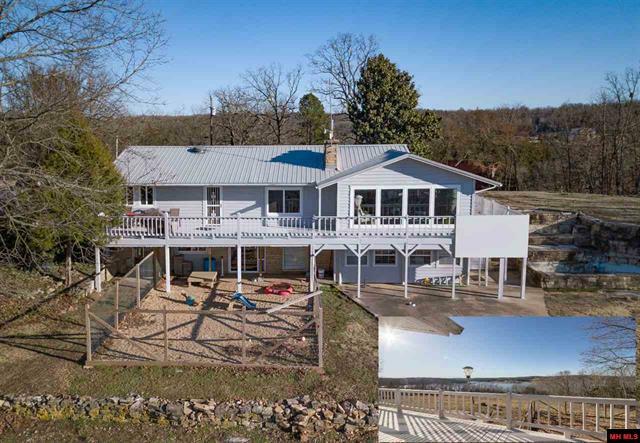 A custom built 4 BD, 3 Ba Bull Shoals Lake home located in southern Ozark County, MO could be yours for weekends or forever. It is a ranch style, 2900 sq ft of finished space including the main level and the walkout basement and the construction is top quality. Outbuildings a greenhouse, a storage building, and a large shop/garage plus there is an attached double garage on the lower level of the home. Pluses include a beautiful year-round lake view and quiet acreage setting. A boat dock stall is included.Good neighborhood with nice homes on acreages. Quiet setting, yet with a good location for accessing nearby towns and amenities. This land adjoins the government lake boundary. Great lake view. Boat dock stall included. Stunning view of the lake in this 3BRM/2.5BA home on 3.26 ac m/l. Seller is leaving a generator and a $700 freezer bought January of this year. Home has beautiful hickory wood floors, craftsman cabinets and detached 2 car garage. Walk out basement has a kitchen, craft room & wood burning FP. Geo thermal heat and air. 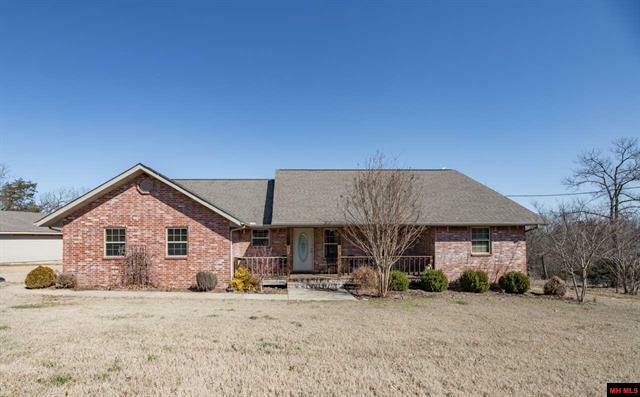 IMPRESSIVE 4 BR 3 BA, 3,038 sq ft Lake Home on 1.40 acre lot joining the Corp Line of Bull Shoals Lake for the most wonderful full-time view. High quality finished including upscale tiled- wood grain flooring, modern kitchen, newly tiled baths, 3 fireplaces, vaulted ceilings, new windows throughout. Detached shop for hobby or lake toys. Enjoy the Theodosia Marina lights and cool lake breezes every evening. All the hard work has been done for you. Come and relax in style! 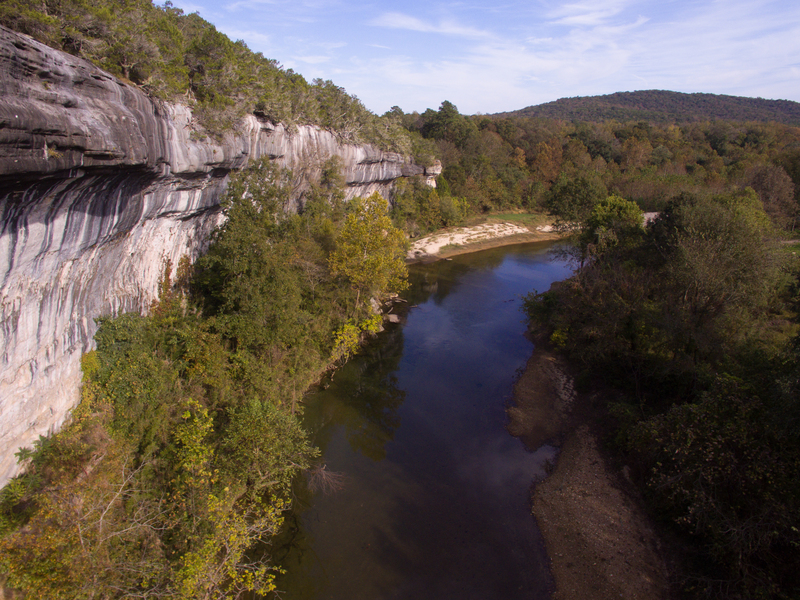 Ozarks Homestead on very picturesque 7.38 acres m/l. Found down long private driveway. 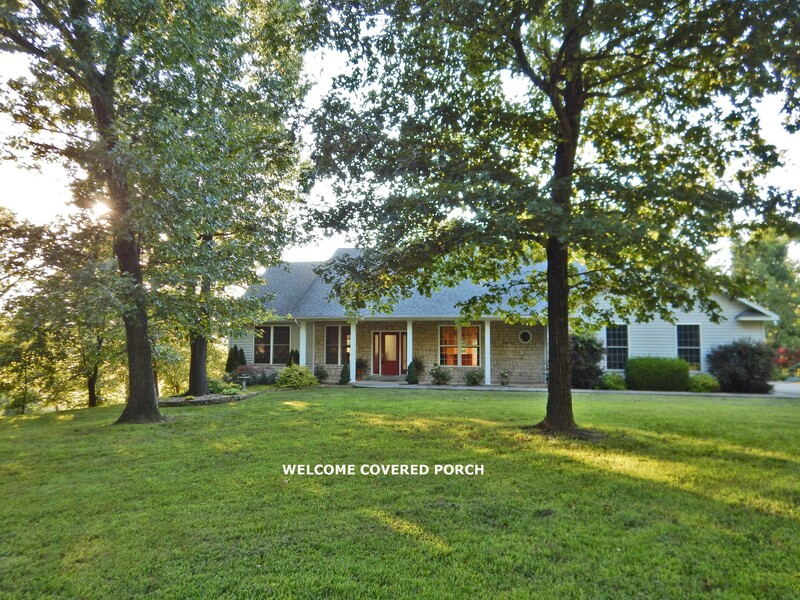 A beautiful brick ranch with terraced garden and mature trees. This is the open floor plan you have been looking for! Enter the foyer and the gleaming oak floors will greet you. The formal dining area is spacious and should accomidate your guests. Living room has gas fireplace and a lovely vaulted ceiling. The family room has room for games, and your flat screen while enjoying the the nature views out the back windows and patio door. A true cooks kitchen will delight you with abundant wood cabinets to store all your cookware and dishes. Beautiful stone counters with breakfast bar plus stainless steel appliances that will give you the upscale look you have wanted, and space for your kitchen set too. A Split bedroom plan features a Master that is totally en’suite with a spa tub, walk in shower & 2 sinks, large walk in closet and patio doors out to the big coverd deck. Bedrooms 2 and 3 are spacious and share a full hall bathroom. An attached 3 car garage has the 3rd bay semi converted into a sewing craft room but could be returned to any use. You will appreciate the 30x50 detached shop with power, is heated and insulatedand concrete floor, 3 overhead doors. All this plus a detached deck of the side of the home that offers a secure spot for target practice, nice creek that runs almost all year except during very dry times. No restrictions, place to park the RV or boat and horses welcome!